Affiliations – EOS Defense Systems USA, Inc.
Electro Optic Systems Pty Ltd (EOS) is a leading Australian technology company operating in the aerospace and defence markets. Our products incorporate advanced electro-optic applications based on EOS core technologies in software, laser, electronics, optronics, gimbals, telescopes and beam directors, and precision mechanisms. Huntsville, Alabama has long represented innovation and exploration. We’re a city consistently named as one of our nation’s best. Innovation? Jobs? Quality of life? Economic development? Huntsville is the answer to each one. Nestled somewhere between the foothills of the Appalachian Mountains and the unexplored horizons of Mars and beyond, Huntsville, Madison County, and many other communities in our metro area have a pioneers’ drive to press forward, go further, and reach higher. AUSA is a private, nonprofit, educational Association of individual, business and organization members dedicated to supporting and maintaining a strong national defense with emphasis on the role of the United States Army. AUSA supports the needs and interests of all components of the Total Army - Active Duty, Army Reserve, National Guard, Department of the Army civilians, retirees and family members. 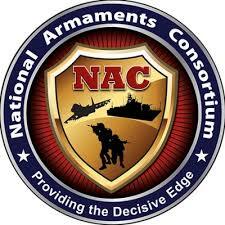 THE NAC VISION is to be the preeminent collaboration organization that enables Government, Industry, and Academia to deliver rapid Armaments innovation for the Nation's security. OUR MISSION is to foster collaboration between Government, Industry and Academia to deliver dominant solutions to complex National Armament challenges.